If Osaka is missing any one kind of ramen, it's miso. I was as happy as ever when Sapporo Ramen Shishio opened up in Shinsaibashi. 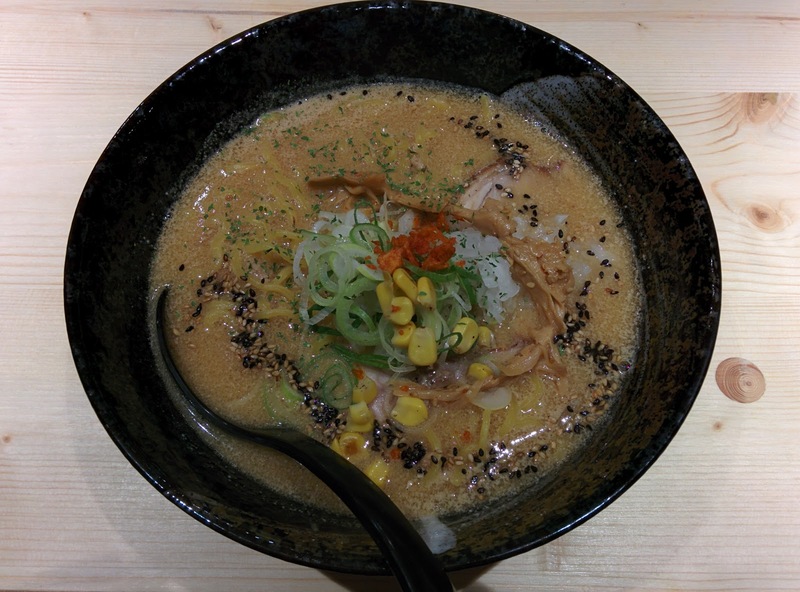 Without hesitating I ordered the rich miso ramen. The soup was a cloudy if oily brown miso. It was fatty and flavorful, and even had a bit of that tonkotsu stink. There were sesame seeds strewn about, that added just a bit of flavor and texture. The noodles were the standard fat, yellow, curly noodles, appropriate for the broth. The chashu came in a few solid slabs. Overall this was a good, standard version of miso: something Osaka is sorely lacking. I'm not in a rush, but I might if I'm feeling miso in Minami. Any Osakan lacking miso should check this place out.